Find out how to track every time someone installs your app as a conversion. You can track conversions and other site activity for any of your campaigns by creating conversion goals. 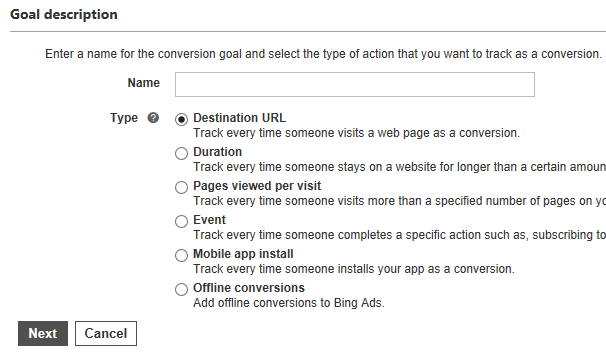 Normally, you create a Universal Event Tracking (UET) tag, add it to your website, and then create a conversion goal. But for mobile app installs, all you have to do is use the app-specific URL that is provided by the Bing Ads-certified partner. One conversion goal is required per app platform for each app, per customer. All you have to do is create an App Extension or an App Install Ad, and then create a mobile app install conversion goal later. In order to help you create tracking/measurement URLs, Bing Ads has partnered up with Kochava, Tune, Appsflyer, Singular, Adjust, and Branch. Each partner has a template of exactly what Bing Ads expects the tracking/measurement URL to look like, and the only mandatory parameter required is the MSCLKID. 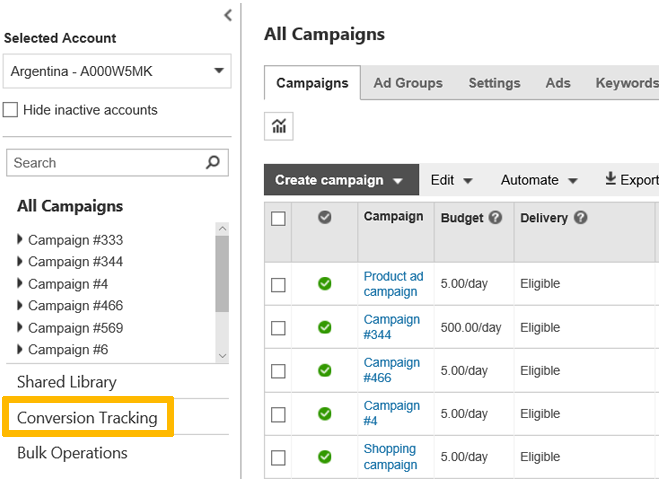 You can also add additional tracking parameters in Bing Ads to customize your tracking URL. Please note that you will need one tracking URL for each respective app in the app store. Bing Ads supports the following sites as third-party measurement URL partners. This is an app-specific measurement URL that is provided by a Bing Ads-certified partner, along with an SDK, to track installs from App Extensions and App Install Ads as conversions. Click Campaigns at the top of the page and click the Ad Extension tab. If not already selected, click App Extensions. If you want to report app install conversions, you will have to sign up with a Bing Ads certified partner to be able to view app installs as conversions within Bing Ads report. Learn more about App Extensions. Enter a name for your goal, under Type, select Mobile app install, and then click Next. Optional: You can assign a Revenue value to set how much each conversion is worth to your business. Note: Variable revenue is not supported. Optional: You can enter a conversion period to track up to 90 days in the past. When setting your mobile app install goal in this section, you are not creating the mobile app extension. To learn how to do this, see Link your apps in your ad. Once you entered a measurement URL from the partner, Bing Ads appends a parameter called MSCLKID to that URL during ad delivery. When someone clicks the app extension, the call goes to the partner which logs the MSCLKID and redirects to the app store. After someone installs your app and opens it for the first time, the partner SDK on the app notifies the partner that app has been installed and opened. At this point, the partner does conversion attribution. Then the partner uploads conversion goal data back to Bing Ads using the clickID and AppId as the keys. 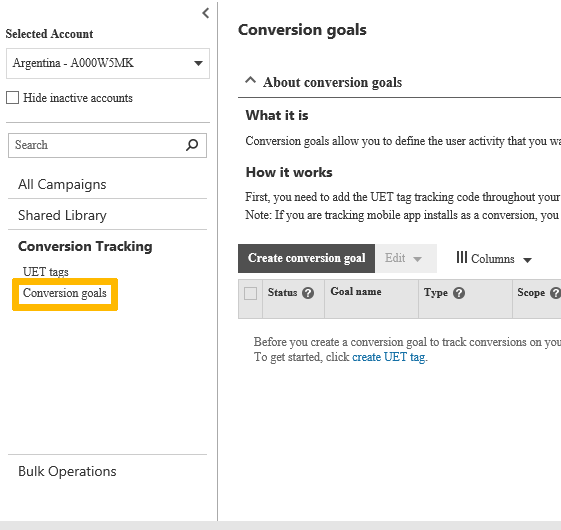 Lastly, Bing Ads identifies the goals associated with the AppId, checks if the clicks are in the conversion window, and associates the conversion with the app extension.